If you compare the “holding on to sentimental items” issues between my husband and I, my problem seems miniscule compared to his. For example, he has three large totes of broken toys from his childhood taking up valuable space in our garage. His reason for keeping them is because “they are valuable”, while my response is “they’re broken!! !” I really didn’t notice I had problems until we moved from a house with an unfinished basement, i.e. tons of storage, to a house with no basement, no attic and very little space to store items. It also doesn’t help that we now have no “extra” rooms in our house, with our newest addition expected in May. This has forced our master bedroom to become our new dump zone. Any extra junk ends up there and it is definitely not the peaceful sanctuary that people talk about when they design fabulous master suites. My husband sees no issue in this, except that it takes some fancy footwork to maneuver to the bathroom from his side of the bed. I, however, have crazy dreams of being overran by paperwork, clothing and furniture. They say that your dreams become more vivid and detailed during pregnancy, and they do, but I feel like I’m living my organizational nightmare every day. Also, my nesting phase has started. Add the fact that I have problems with starting projects and not finishing them, and you get the mess that is now my house. My first task in getting prepared for the new baby was to finally move my son’s closet contents to his new room and remove/sort the mess that became our guest room closet (which is the new baby’s room). It’s overwhelming! 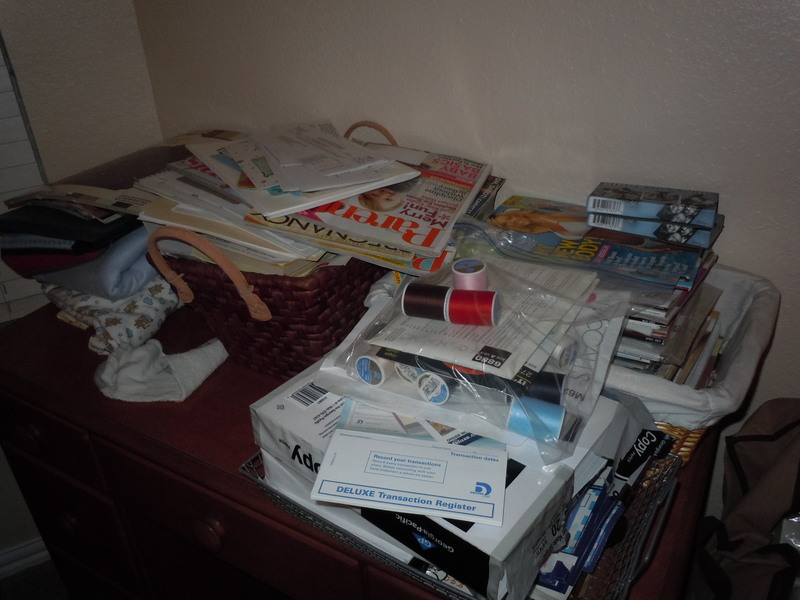 So far, I’ve found tools, paperwork, school textbooks from 9 years ago, old lamps, rugs and craft supplies. It’s a good thing I have 4-5 months left for all of this because it will probably take me that long to finish. 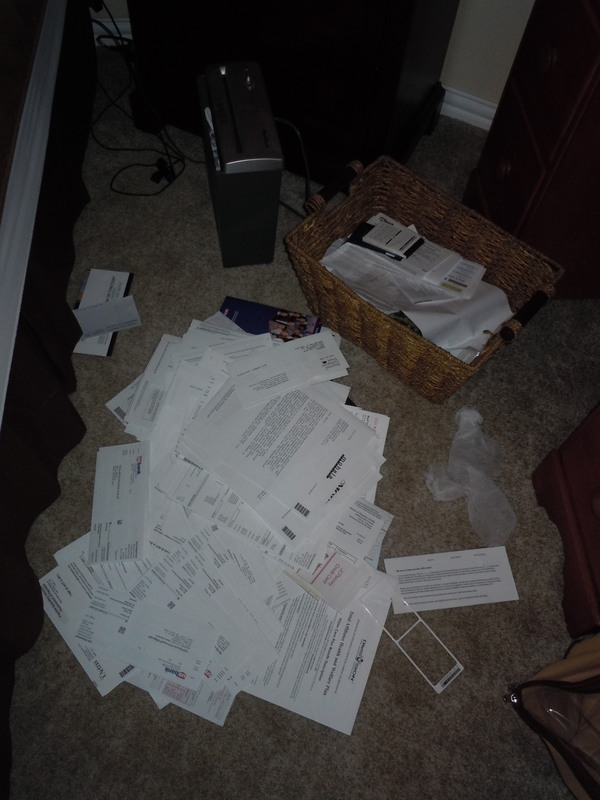 So far I’ve found bank/credit card statements from 5 years ago among with other documents that have absolutely no importance! Sheesh, who knew you weren’t even supposed to keep these after the month end. 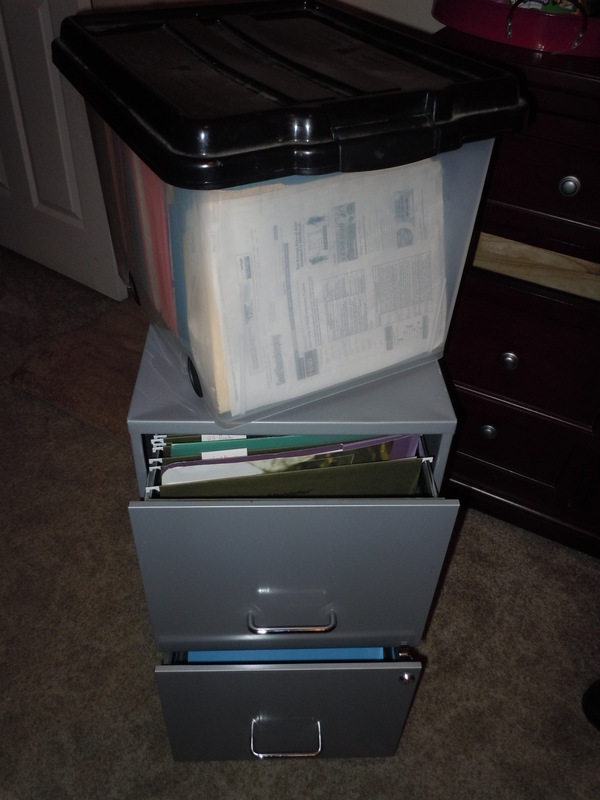 Wish me luck as I go navigate through my own personal paperwork jungle.